Americans are saving more today than they have in years. With economic uncertainty all around us, we’re buying less and pocketing more. We’re also paying down our debt. While a home loan is far and away that largest percentage of a person’s debt load, does it make sense to pay it off completely? 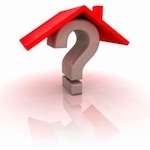 Read More About: Should You Pay Off Your Mortgage?